Summary: Any lover of food/travel memoirs is familiar with the troupe in which an American (or Brit) moves to France and falls in love. Not in love with a person, necessarily, but with the food and the culture and the country. Laure Dugas' turned the experience on its head when she moved to NYC from France. 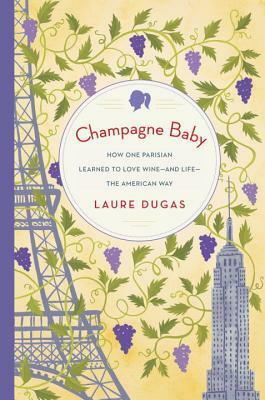 What I Thought: I really enjoyed Dugas' twist on the classic travel memoir. Her perspective as a European coming to live and start a career in America is certainly unique in comparison to the many memoirs I have read written by Americans going to live overseas. Her point of view is especially interesting as her time in the US occurs during the height of the Bush years - and when our relationship with the French was not quite as, uh, incroyable. I found Dugas' journey really interesting. She moved to the US to work as a promoter for her uncle's wine. Despite growing up in France and in a wine-making family, she knew very little of the technical details about wine, so she learned on the go. Though that gig was only six months in length, she moved on to get other jobs within the industry and continued learning. The book follows her education not only in American life and culture, but also wine. While the chapters themselves focus on her career experiences, her newfound friendships, and her perspectives on American culture, each chapter ends with a couple pages devoted to sharing her wine knowledge. The world of wine is incredibly complex (Kevin watched Somm on Netflix one night when I was gone and still talks about how fascinating and intricate the culture of wine is), but Dugas breaks down some basics, particularly in regard to French wine, and makes things easy to understand whether you are a connoisseur or some one who has never had a glass. 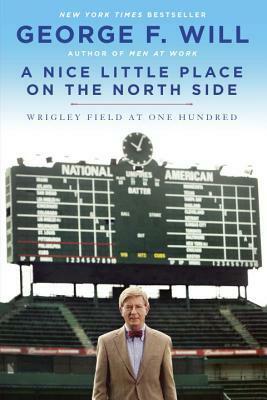 Summary: A look back at 100 years of Wrigley Field and Chicago Cubs history. What I Thought: My husband is a huge Chicago Cubs fan. Though I grew up a Cleveland Indians fan, he is slowly winning me over to share his loyalty. It's hard not to have a soft spot for the team that just can't seem to win it all. Some call it a curse; regardless of the cause, the team hasn't won the World Series since 1908. They're just a little overdue. No one seems to have considered that their home field, Wrigley Field (yep - named for the same family who makes the gum), could be the source of their bad luck. After all, the stadium was opened in 1914. That no one considered it a contributing factor only speaks to the place Wrigley has come to hold in baseball-loving hearts. It's a classic at this point. Even production on The Bachelor knows its value; they sent the lead and one of his lovely ladies on a date where they got to play and even eat dinner on the famous infield. Only Boston's Fenway Park rivals the iconic cultural status of Wrigley. When I saw this book offered on the Blogging for Books website, I knew it would be a good fit. It served not only as a chance to learn more about one of Kevin's interests, but also a chance to read a George F. Will work. One of my high school English teachers was a big Will fan. Thus, I recognized the name and thought if I were to read anyone's look at Wrigley, I would most enjoy Will's. The book delivers exactly what you would imagine. History, anecdotes, even some sentiment. Will talks about both the team and their home field. It's not a long book; he doesn't dig in so far that he stays on one section for too long or to reach the drier aspects which I'm sure exist. Instead, the book is light and relatively interesting. Will, of course, lends an air of dignity and polish. I like baseball and I certainly would not have liked this book if I did not. However, I think I would have enjoyed it more if I was a passionate baseball fan or, in particular, a passionate Cubs fan. I am anxious to see what Kevin thinks. If nothing else, it was a great meeting of America's pastime with one of its great modern writers. Note: I received this book from Blogging for Books for this review. The free copy did not sway my opinion. I promise! A Reduced Review: An interesting look into the history of one of America's landmarks and the team that plays there. 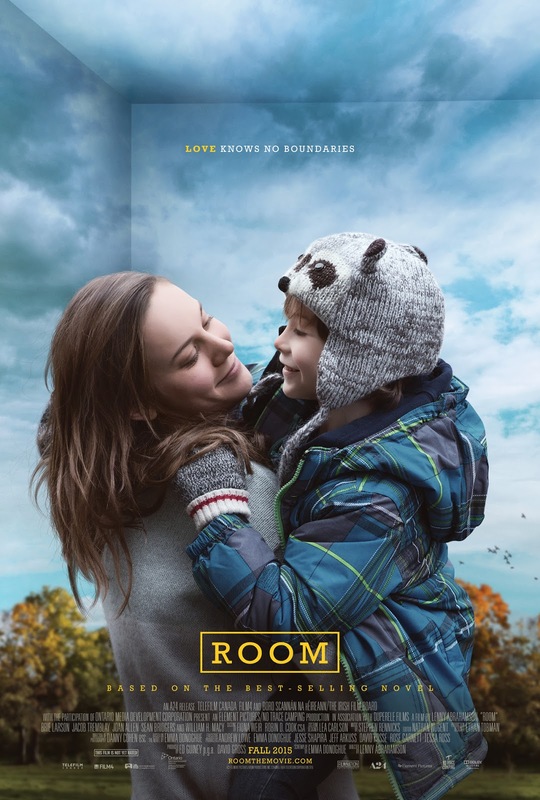 Summary: Trapped in a single room, a mother attempts to raise her young son while simultaneously plotting escape and dreaming of a return to a free life. What I Thought: I read Room in my pre-blogging days. In fact, it was one of the books that urged me to start the blog. I loved it so much and wanted a space to talk about it, among others. Four years later, here I am reviewing the film adaptation. I was quite apprehensive about how it would play out. I had no doubt it would be good - look at all the Oscar nominations and awards it received! Yet, this is a perfect example of how two different mediums must tell the same story differently. When reading the book, the reader spends quite a while just trying to figure out what is going on. As in the movie, Jack, the little boy, serves as narrator and the lens through which we see the story. In the book, Emma Donoghue reveals the fullness of the situation slowly. Little by little, you realize the extent of the terrible situation in which Jack and Ma (Joy) find themselves. The slow reveal is part of Donoghue's mastery. Obviously, this simply was not going to play out the same way on film. Seeing their cramped quarters and shabby belongings happens in an instant, rather than over dozens of pages. Summary: It's several years after the events of Crazy Rich Asians. Nick and Rachel are mostly estranged from his ultra-wealthy family and planning a wedding. Astrid's marriage to Michael is deteriorating again, this time because he seems to have been corrupted by his sudden business success. 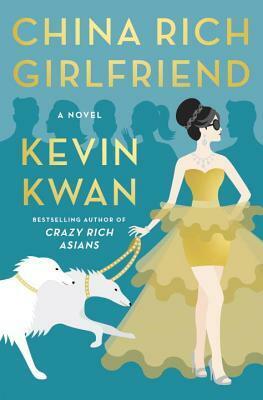 New on the scene: Rachel's newly discovered half-brother, a Chinese politician's heir apparent, and his flamboyant, fashion-obsessed girlfriend. What I Thought: I absolutely enjoyed the first installment in this series. It was a light, delightful break from some of the heavier stuff I have been reading lately. I described it as "cotton candy: sugary, unhealthy fluff, but awfully fun to sample." Reflecting now, on the second installment, I find that description fits better than ever. Reading the two so closely together certainly made me feel a bit of that too-much-sugar stomachache. How I Found It: Last one in the series! Summary: Anne's flock are nearly grown and each is entering the world on their own in their own way. For the boys, this means joining up to fight in the Great War. For baby Rilla, now nearly a woman in her own right, it means holding down the home fort and facing trials of her own as the last Blythe child left at home in such trying times. What I Thought: I have talked a lot on the blog about the transition from the Victorian/Edwardian/Gilded Ages to WWI and beyond. 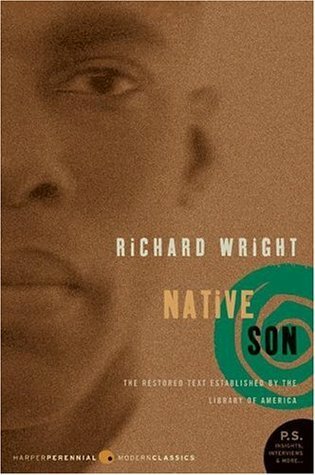 Just as with actual history and the ensuing culture, perspectives, and philosophies, literature marked the shift dramatically. To have a series bridge that gap in both content and actual date of authorship and publication, even if only by its last installment, feels unique. My comments about the shift in the series are well documented at this point. I've amassed quite a collection of posts, as one does with a series this long. I still wish Montgomery had kept her focus on Anne herself, rather than moving on to the Blythe children. This feels like the start of a companion series or a loosely related novel rather than the continuation of the same series. Yet, I wonder if Montgomery was feeling a shift in her own life as she aged - the moving attention from one generation to the next, particularly as the next heads off to determine the world's fate on the battlefield. 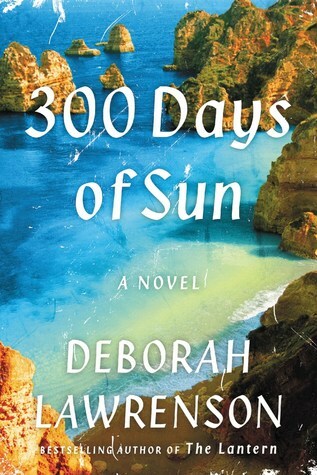 Summary: The story vacillates between a modern mystery and WWII era spying - both set on the ruggedly beautiful coasts of Portugal. What I Thought: This novel was interesting. I joined the tour in part because the description made me think of Beautiful Ruins (I'll be honest - the cover art doesn't hurt with that comparison) but with more mystery and action added in. The book itself did have a bit of that vibe, but it certainly had a much different overall tone. My favorite part about the book were the descriptions of Portuguese lifestyles and landscapes. Lawrenson's vivid portraits had me ready to book a ticket immediately. I have never given Portugal much thought when thinking about European travel, but this book absolutely put it on my must-go list. I think it may be a good balance of things Kevin likes to do on vacation with things I like to do on vacation - plus enough seafood for us both to dine happily indefinitely. How I Found It: Is there anyone in America who didn't hear about this book last year? Summary: Years after her adventures in To Kill a Mockingbird, Scout - now using her given name, Jean Louise - returns home to Maycomb for a visit. Both the town and the people in it she loves prove different than how they live in her memory. What I Thought: First of all, I find it completely shameful it took me this long to read this book. I had meant to read it right after it came out last summer. I was going to buy it myself, but my birthday was a month later, so I waited. Then, I didn't get it for my birthday. At that point, I was immersed in other things and the semester started (always a busy time) and I lost track of hunting it down. Thankfully, I got two copies for Christmas! I exchanged one for other literary treats, but held on to one to slowly savor Lee's words. Rarely does it take me so long to read a book that I am enjoying so much. 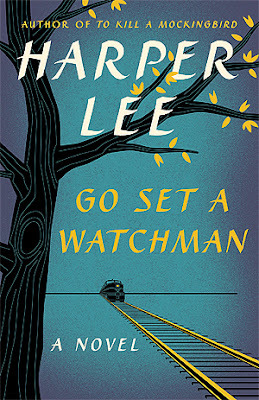 But, Lee is my favorite author and To Kill a Mockingbird is my favorite book (and I don't care if you think that's cliche). I knew these would be the last words of hers I ever had the opportunity to read (even before her death this spring), so I wanted to savor them. I wanted to drink in each one, slowly, thoughtfully. I would never read a Lee book for the first time again; I was acutely aware of that while reading this novel. Summary: Bigger's new job as a driver for a wealthy white family is his attempt to start life on the straight and narrow. When things take a quick downturn, however, he finds himself on the run. What I Thought: I enjoyed this book. 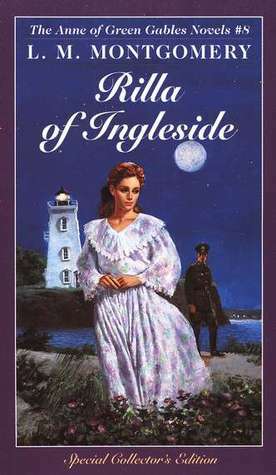 I mainly listened to it as an audiobook, which proved a great way to maintain the suspense of Bigger's fate. No glancing ahead in that medium! Of course, Wright does a good job all on his own of creating suspense. Once Bigger commits the pivotal act (I'm going to try not to spoil some of the plot points as I think not knowing made the book more enjoyable), Wright keeps readers on the edge of their seat. I loved that the three parts of the book were entitled "Fear," "Flight," and "Fate." That so perfectly captured Bigger's journey in both practical and existential ways. Summary: Katherine Wilson recounts her life in Italy, starting with her arrival as a young exchange student. She tells of the second family she discovered far from home and all she has learned from them. What I Thought: This was a fun read. It is exactly what you would expect from a book of this type. Travel and food memoirs have been popular for a long time and this is a nice addition to the genre. 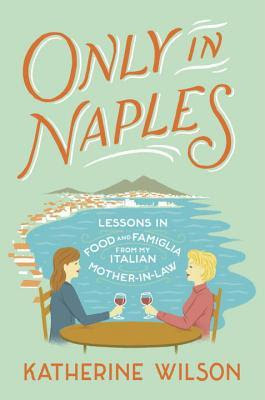 The chapters are short and Wilson shares openly about her transition to life in Italy. There is plenty of miscommunication and plenty of love. Plenty of food, too. Wilson reinforces the idea that Italian mothers feed their families plentiful amounts of delicious cuisine. I enjoyed the book. It was an easy read and one that I would pick up for a short chapter or two before bed. Italy has long been on my travel wish list and Wilson's descriptions only made me want to go even more. A Reduced Review:Travel and food memoirs have been popular for a long time and this is a nice addition to the genre. Summary: It takes a myriad of staff to create the royal lifestyle. Hoey dives into this world with its rules, expectations, details, and dramas. 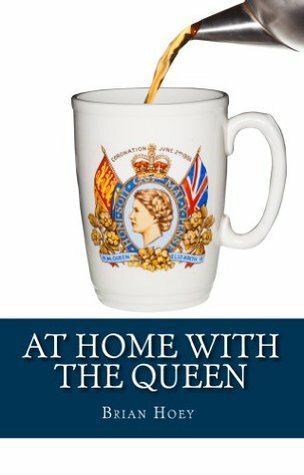 What I Thought: For someone as interested in royal life as you know I am, this book was really interesting. Rather than focusing on the royals themselves, Hoey explores the daily lives and activities of their staff. It takes hundreds to manage and expedite the details of court life. It's easy to think of that in relation to the times of the Tudors, but we rarely realize or recognize all that goes on behind the scenes today, nor the people it takes to accomplish such a feat. With the addition of some introductory material, Hoey focuses each chapter on a different department of staff members or area concerning them all. He looks into the inner workings of the Royal Mews (a.k.a. where the horses, carriages, and cars are cared for); he looks into royal wages and why, despite coming in below industry standard, they prove enough to foster loyalty among staff and masses of resumes from those hoping to become staff; he expounds upon all the details and personnel required to put on a state dinner. The level of detail is astounding. Hoey has clearly done extensive research. How I Found It: Heather over at Capricious Reader loves this book. Summary: Something is going terribly wrong in the Wood. The Woodcutter, charged with keeping the peace and balance between the twelve magical kingdoms, tries to put the stories back together while an Evil Queen seems to block his efforts at every turn. What I Thought: This book caught my attention when Heather posted about it back in 2014. I, too, love fairy tales and adaptations thereof. It's been on my TBR since then and I only just now have finally read it. Classic case of things languishing on the list because there is just so. much. to. read. While I cannot say I adored this book on near the same level Heather did, I did really enjoy it. 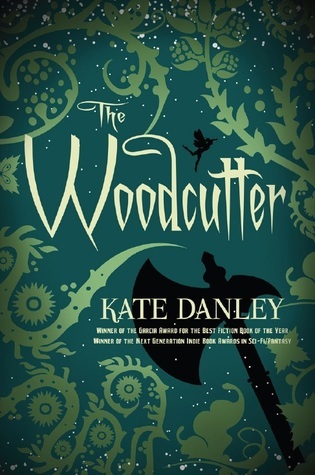 Danley brings a freshness and creativity to the genre of fairy tale adaptations that is often lacking. There sometimes seems to be only so much you can do when adapting. She, brilliantly, takes the characters and their baseline stories and then mixes them all together, turning everything on its head. The whole plot is that the stories are not going as they should and the Woodcutter must stop it before things get too far out of hand. How I Found It: I used to work with a huge Tim Keller fan; this was his favorite book. 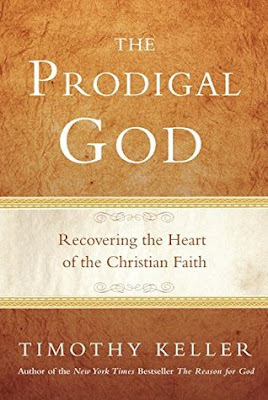 Summary: "Taking his trademark intellectual approach to understanding Christianity, Keller uncovers the essential message of Jesus, locked inside his most familiar parable. Within that parable Jesus reveals God's prodigal grace toward both the irreligious and the moralistic. This book will challenge both the devout and skeptics to see Christianity in a whole new way." What I Thought: Just after college, I worked with a guy who was a huge fan of Keller's work. He was and is one of the wisest, most thoughtful Christians I have known. This particular book was one of his favorites by Keller. I've been meaning to read it for years. Challenging myself to read at least one faith-based book each month of 2016 has finally given me the catalyst to do so. I really enjoyed this book. Keller's premise is an examination of the parable of the prodigal son - and his brother. He compares modern Christians to each of the two types. The younger brother, the "prodigal" one, runs off seeking fortune and freedom, ultimately returning to the father ashamed and destitute. The elder brother follows all the rules and the path expected of him, but his heart is bitter and prideful. Both are equally in need of redemption. As predicted, we are fully immersed in the hectic schedule of spring. 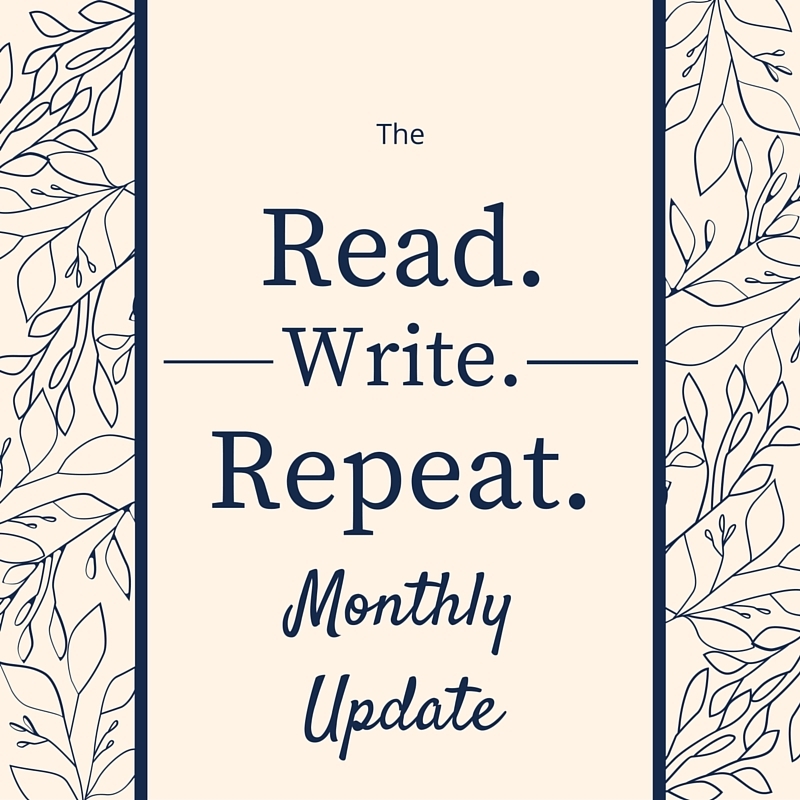 I'm feeling a little in over my head and certainly not having the time for reading and/or reflection I would like to have. C'est la vie. I am counting the days until summer when I can feel like I have my life back again. 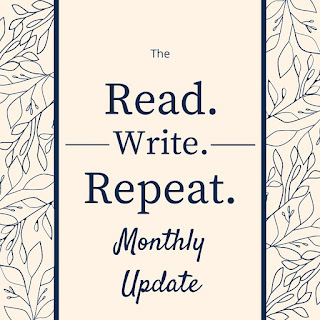 Until then, it's been a very light (for me) reading month. I did not meet my goals, which makes me feel discouraged, and I got halfway through several books before running out of time and having to return them to the library. There is nothing worse for a reader. I hope you all had a wonderful Easter weekend. We helped my sister and her husband move into their beautiful new home which is just over two hours from us. Not too far at all. It's so nice to have them close. We are both looking forward to years of visits and adventures together. Otherwise, the weekend was fairly uneventful. Kevin worked in the yard and I cooked up a storm. We are both so tired from all we've been doing so we probably should not have done quite so much. Oh well, this weekend we'll relax. Speaking of the yard and the house, we're doing so many exciting things. That's part of why we've been so busy. We're doing tons of stuff to turn out backyard into a small oasis for summer. We bought beautiful raised garden beds and have some spinach planted already. Kevin's been tearing up crabgrass and planting new, good stuff. We planted some climbing roses by the deck. I'm making some shade things for our pergola. So much happening and we're so excited for long, warm summer nights spent enjoying that space. Since it's warm here again, I've already spent quite a few afternoons out in the sunshine either with a book if I can spare the time or with papers to grade and lesson plans to write.